Thank you for your interest in Varcomm Self-Care. Even when our office is closed, you can stay in touch with us and your account. Simply check out the FAQs regarding Varcomm Self-Care to get started. How do I start using Web Self-Care? Follow the steps below. Please note, you will need a copy of your Varcomm statement to complete the enrollment process as provided below. 1. Click on “SIGN IN/REGISTER” at the-top right side of our website. On mobile devices you will need to select the “hamburger” menu icon to reveal the “SIGN IN/REGISTER” button. 2. You will now see the self-care sign page. Click on Register. 3. To register, use your 10-digit account number and then enter your security code using the numbers “282” and the last four digits of your “service number” in the bill sample. Then continue the registration process. If you have any questions, or would like assistance in setting this up, please contact our office at 888-539-5234. WHAT CAN I DO WITH VARCOMM SELF-CARE? WHAT HAPPENS IF I FORGET MY LOGIN INFORMATION? Varcomm Self-Care has an option for you to retrieve and reset your login information. 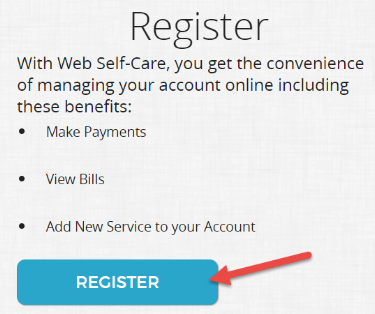 Visit the Varcomm Self-Care login page and click the “Forgot Login Information” link. DOES VARCOMM SELF-CARE WORK ON A SMARTPHONE? Yes, it works on smart phones and many other internet connected devices.